The digital marketing world is a bit complicated. It is a composition of thousands of strategies that the marketers use to gather website visits and to increase sales. Digital marketing is based on a few important elements. By using these basic elements, you can help yourself in staying on the right track. Branding is one of the most important things because it has got all the important things such as business name, tagline, logo, brand personality etc. It shows your customers what you serve them. Most of the times, the brands evolve and enhance with the business so that they can easily meet the needs of the customers and clients. Your business will not be able to make it without a strong and smart social media strategy. This is because it is the best way how you can build relationships with your followers and improve your brand awareness. The best thing about the social media strategy is that you do not really have to stay active on every social media platforms. You just need to select the one that will fit best with your industry. E-mail marketing is an element that will keep your digital marketing efforts in motion. When e-mail marketing is used correctly, it is effective in driving sales, reinforcing your brand and keeping your audience interested. There are many tools available today that can ease the whole process as it does not take too much money or time. And the enhancement of smart phones has made it even more effective. You need something that can set your digital marketing strategy on fire. There is no better option than PPC campaign. Pay-per-click is an element that keeps you on top of the Search Engine Page Results (SERP). It is also a great way to target more traffic to your website. It is also an effective tool for keyword research. It can help your business to grow rapidly. The best part of about advertising is that it does not require a lot of money to begin. This is a vital part that most of the businesses miss. If you are new to the business, one thing that you need to do is to remarket to those people who have already been a visitor on your website. Digital advertising is the best way how you can do this without spending a lot of money. 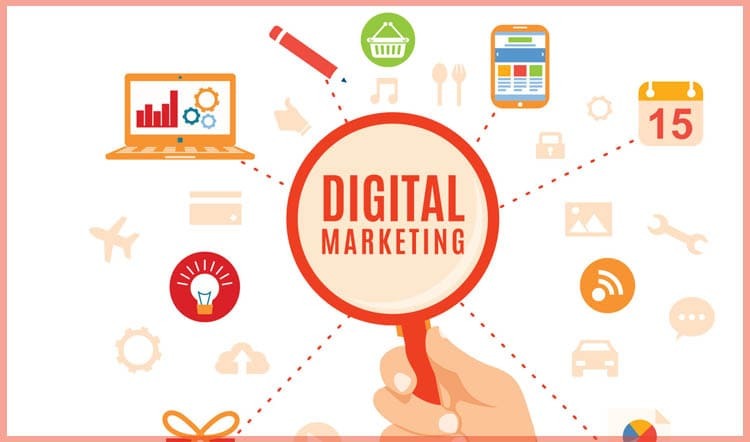 By using the digital advertising, you can easily drive traffic to your website and convert all the interested people into potential customers. Content is an element which is considered as a king in the world of digital marketing and it will continue to be the same in the coming years as well. It is a process of creating content such as videos, blogs, social media posts and photos and sharing them on various social media platforms for increasing lead generation, brand awareness, traffic and more customers to build brand reputation. This type of marketing is implemented completely to attain the interest of the customers.